Hey cool. I was in London with my man two years ago and I was pretty impressed with the casual grab-n-go food in London. I remember getting a really good pasta salad at Marks and Spencers!! I mean, I used to buy underwear at Marks and Spencers. Now they have a really good deli section. 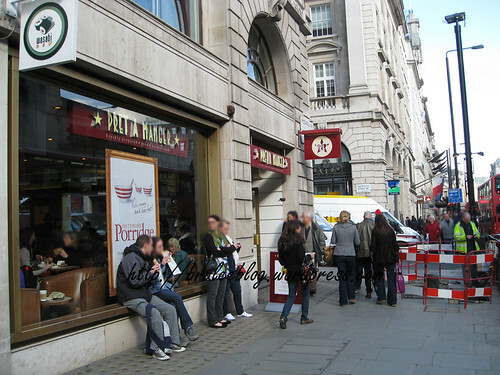 Do you think a Pret-a-Manger would work in Canada? It would be nice to have an upscale sandwich and snack place here. In Edmonton, I think it would work for the downtown lunch crowd for sure. For some place like Vancouver I think it would probably work for multiple locations…. I think I saw more M&S Simply Food stores than I did of the actual department stores! 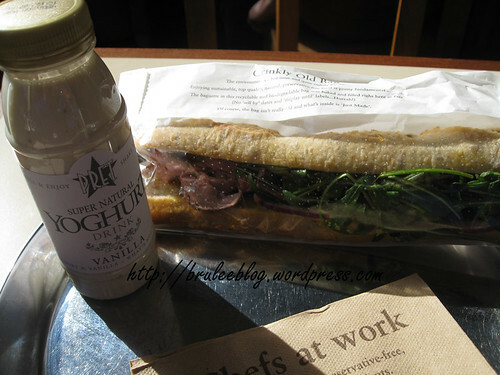 When I was in London a couple of years ago I ate quite a few meals via an M&S because it was near my hotel. This time, Tescos were pretty busy because they were offering recession deals. I miss all the amazing foodie places in London. I agree with Jennifer, The UK really does pre packaged lunches well! I lived there in 2007 for 8 months and sometimes just went into the marks and spencer food hall for entertainment! i believe I have photos of the cheese section! 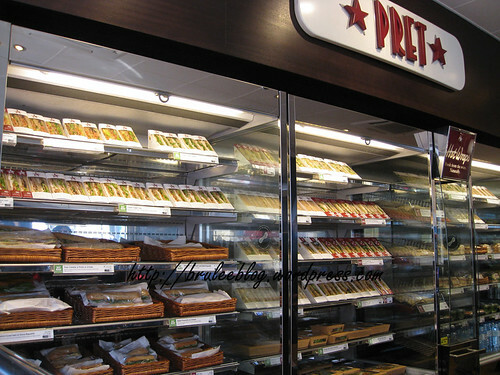 Flashbacks, I also visited that Pret-a-manger before visiting the art gallery! What exhibit did you see? It was my first visit to that one and I loved it. Although the way they handled the crowds and admission could have used a lot more improvement! 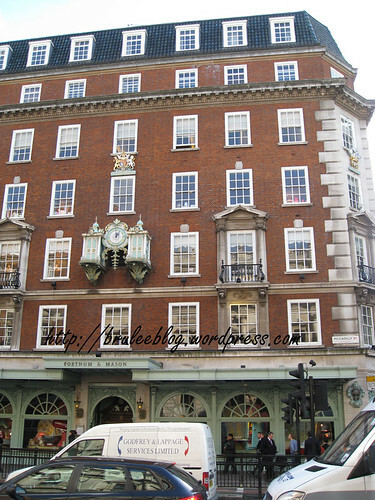 AND I did get into Fortnum and Mason… best place there, apparently for traditional English Tea… I have yet to post it. It is with my Harrod’s Food Floor posts… still waiting to “come out”! Hi I LOVE!! Pret! I visited and lived there and it’s awesome… infact so awesome that I talked to some of the people in thier head office, who said that they currently don’t have plans to expand anywhere in the world. Their main goal is to expand more in the UK… the NY locations are the only expansion, if they go anywhere else it won’t be for at least 10 years! Really? Their website says they have stores in Chicago and DC too. And Hong Kong.